This service commences Monday 29th April 2019 but the phone line is available now and with immediate effect. Good news. We have enough volunteers and passengers to get the service started. We just need to ask the parish council for a little more money and for them to take the scheme on as an official activity. MARCH 4th is the next PC meeting where it will be discussed. YOU CAN HELP if you will come along to the meeting and lend your support just by being there. You will not be asked to speak unless you want to of course. If you would like to be a volunteer driver or co-ordinator or could be a passenger now or in the future please get in touch with me Brian Brooker. So far we have had a number of passenger requests and we also have driver and co-ordinator volunteers but to make the scheme viable we need another two volunteer drivers and another co-ordinator as a minimum. Can you help us get this service going? With extra co-ordinators we will have cover when someone is unavailable. The ideal situation is to only have to do a week every so often and when you are available. When "on duty" you would just need to be available for no more than one hour a day usually late afternoon or evening to retrieve messages, if any, from the messaging service and then call a driver to agree the journey and advise the passenger all is set up. Let me know if you want more information or have any questions. If you don't wish or are unable to do the journey just say sorry. No reason required. If you can do the journey you will be paid by the passenger as shown below. You do need to contact your insurer to advise this is voluntary work for which you are paid expenses only (45p is considered expenses) to confirm you are covered. The Association of British Insurers (ABI) offers guidance about volunteer driving and your car insurance. 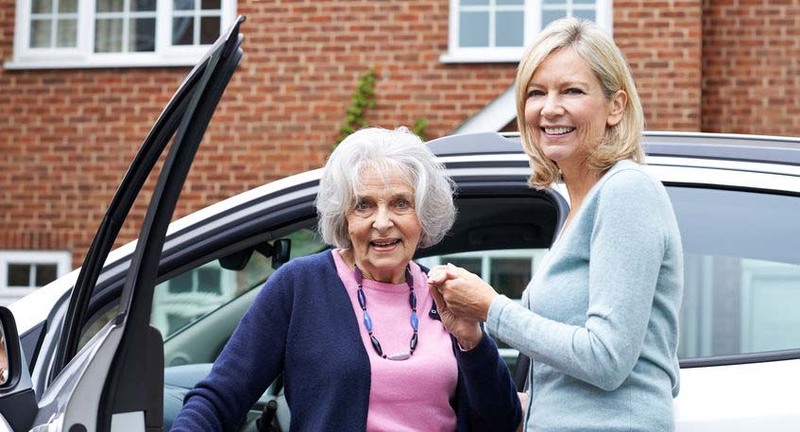 The majority of motor insurers have signed up to the ABI's commitment on volunteer driving, meaning they will cover people doing volunteer driving in their own vehicle at no extra charge. However you should still contact your insurer and inform them and also include the mileage you do as a volunteer when giving your annual mileage. One clause in most car insurance documents requires you to state if you are 'driving for hire or reward'. However, if the charity is just reimbursing you the standard HMRC rate of 45p a mile then that wouldn't be an issue. If you have not already indicated you might have a use for the service now or in the future then please get in touch now. Contact details below. What is Community Cars for? At this early stage it is for medical appointments - Doctor, Dentist, Chiropodist, Hospital, Optician, Chiropractor. This is a service which when in operation could be a lifeline to those in the village needing medical attention and who would feel more comfortable being independent. Anyone who lives in Caston and needs to get to a medical appointment but who, for whatever reason, is unable or prefers not to use personal transportation of their own will certainly benefit from this scheme. The cost is 45p per mile which the passenger pays direct to the driver for the whole journey. So for example if the Norfolk & Norwich Hospital is 18 miles away the cost, there and back, will be £16.20 (18 x 2 x 45p) plus any parking and toll fees where and if incurred. In one week from now we will make a final decision as to whether the scheme will go ahead. If you would like to be a passenger, please get in touch. If you would like more information about volunteering as a driver, please get in touch. If you would like more information about what it means to be a co-ordinator, please get in touch.